Green Apple Day « Chemline, Inc.
At the Center for Green Schools at USGBC, we believe that all students should have the opportunity to attend schools that sustain the world they live in. As Earth Day approaches, we want to remind communities to look to their local schools as a space to promote a thriving, healthy planet. Green Apple Day of Service offers a variety of project ideas for school communities to come together and reduce their impact on the environment, support health and wellness in schools and advance environmental and sustainability literacy. These projects also give students and teachers the tools they need to engage in civic participation and leave their communities—and the world—better off for those who come after them. Here are some examples of projects that can help your school community have a lasting, positive impact on our planet. Good for the environment: Gardens teach students about the important role of land in our lives, such as providing wildlife refuge and habitat, growing vegetables and fruit for instruction or cafeteria use and providing places to divert water from storm sewers. Good for students: You can use planting a garden with students as an opportunity to teach lessons about plant cycles and the environment, as well as teamwork, responsibility and nutritional values. Good for the environment: Conventional cleaning supplies have been found to pollute indoor air with toxins such as lead, asbestos, chemical fumes, pesticides, and molds. The transition to a green cleaning program can both prevent this air pollution and decrease a school’s carbon emissions footprint by using energy-efficient cleaning equipment. Good for students: This project is an example of intergenerational engagement in sustainability, with faculty, students and custodians alike benefiting from increased productivity in an indoor environment free from environmental pollutants and irritants. Whether it is training new custodial workers, expanding on what they already know, adopting new processes or testing new technologies, success is dependent upon custodians receiving appropriate training. Did you know that a significant amount of a school’s budget is dedicated to energy and water costs? Behind salaries, energy is the biggest expense for schools. Additionally, 25 percent of the energy a typical school uses is wasted, according to the EPA. 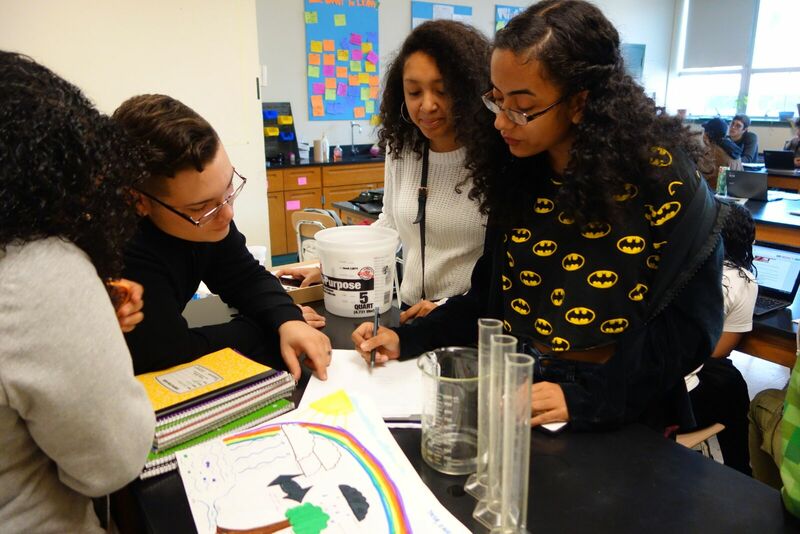 Through their Green Apple Day of Service project in 2016, students at Boston Arts Academy learned about water and energy conservation. Additionally, the school wanted to explore the types of sustainable features they might include in their new building, which was in the design phase. The Boston Arts Academy audited their school’s water and energy usage with the help of the architects for the new building, HMFH Architects. 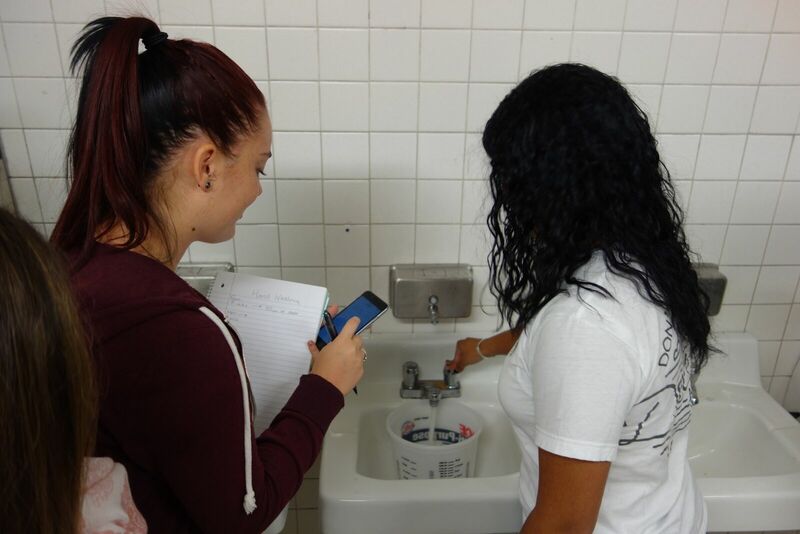 A group of environmental science students calculated their school’s water usage from everyday activities, such as flushing the toilet or washing their hands. Then, they conducted an energy audit to calculate the amount of energy wasted throughout the school, specifically when the appliances were off and compared different light sources’ efficiency. After gathering the data, the students decided to convert the school’s energy usage into pounds of coal. They calculated that it takes 1,300 pounds of coal to power the lights in one classroom for 180 days. The students were surprised to discover how much water and energy is wasted every year in the school, and made commitments to be more thoughtful in their water and electricity usage. 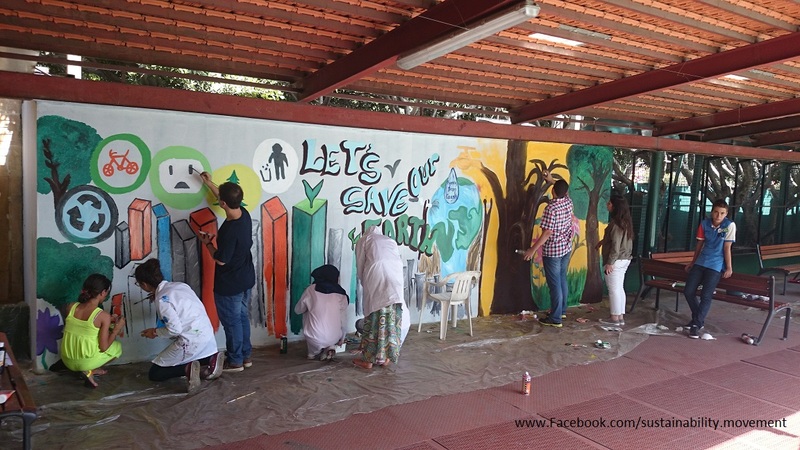 The students’ eagerness to create change within their school was carried over into the design of the school’s new building. Along with HMFH Architects, Boston Arts Academy is working to make their new building as energy- and water-efficient as possible. Want to find out if your school could improve its water and energy usage? Check out our specific tips and resources for projects to Reduce Water Use and Reduce Energy Use.